This is a pre-painted Bittydesign M410 190mm EFRA Spec 1/10 Touring Car Body, with "Wave" paint scheme. 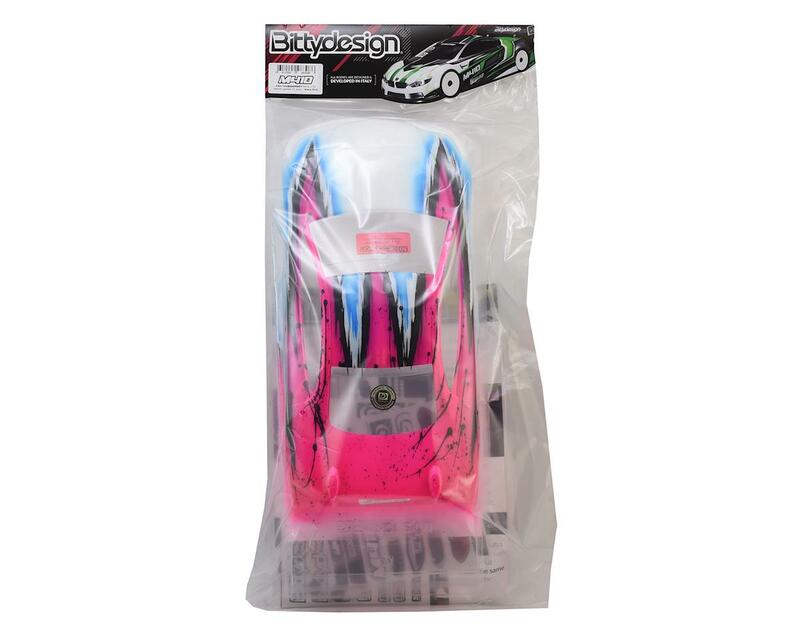 We have teamed up with Bittydesign to offer you another choice for custom paint that will make your car stand out in a crowd of one color wonders, and cookie cutter RTR bodies. 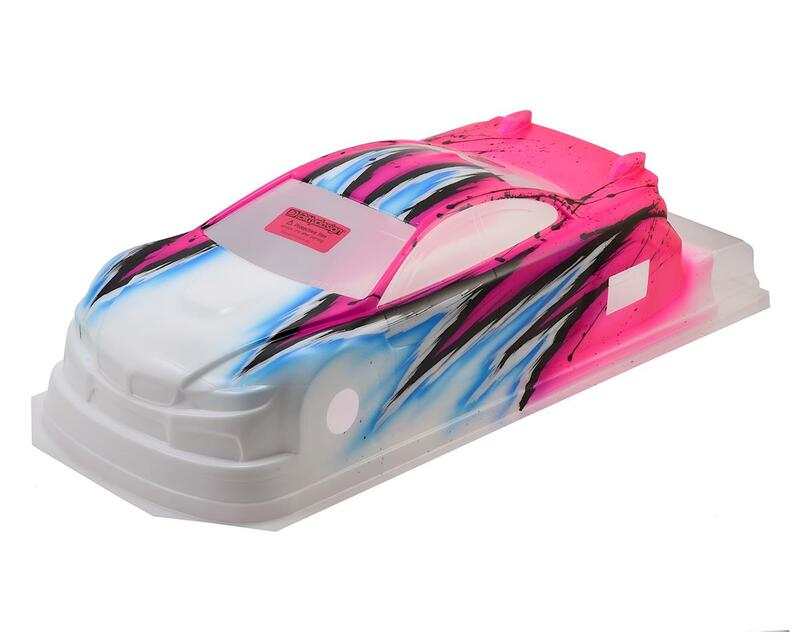 This pre-painted body features the striking Bitty "Wave" paint scheme, with Bitty's trademark splatter graphics that give this shell a modern look that will make you the envy of everyone at the track. Choose from green, orange, pink or yellow.